Game Protector – Keep your accounts and documents safe with Homecare™ security system powered by Trend Micro™. Game Statistics – Real-time latency, game duration and network resource allocation in a glance with fine-tuned UI. Ultra Connectivity - 2.5 Gbps WAN port and eight Gigabit LAN ports, 2 USB 3.0 in Type A and Type C provide extensive connectivity. Powerful Processing – 1.8 GHz Quad-Core CPU and 3 coprocessors ensure your network performance always at peak run. Highly Efficient – OFDMA increases the avg. throughput and reduces the lag. 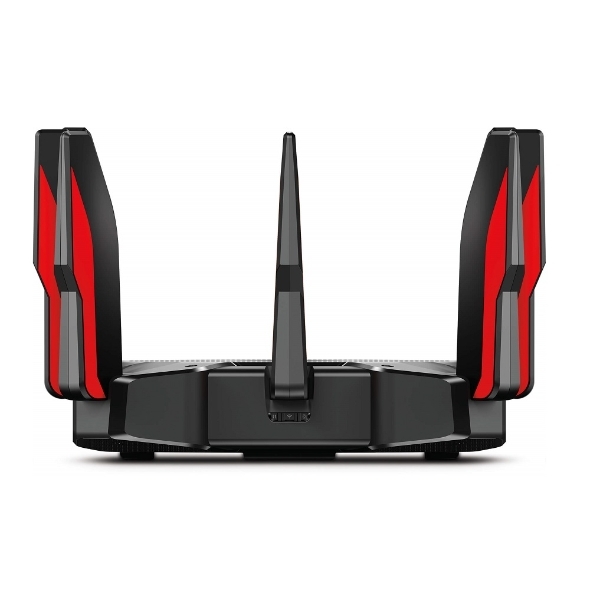 Easy and Smart – Link to your router via Bluetooth and set it up in minutes with the powerful Tether app. 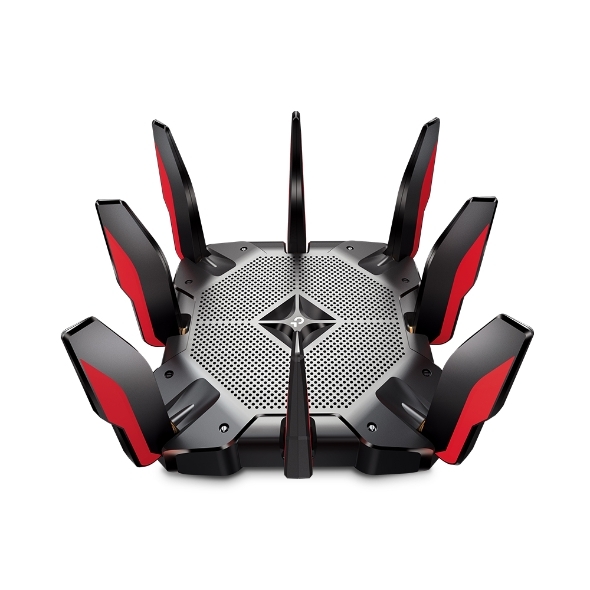 Faster speed the router is, less congestion for gaming rigs. 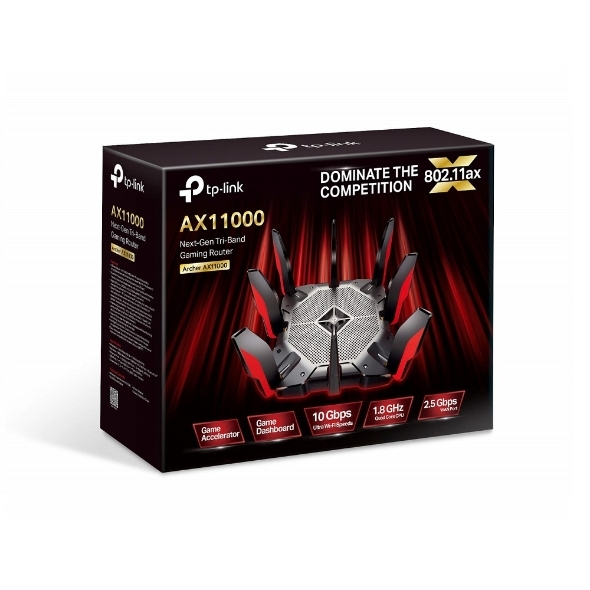 Armed with Wi-Fi 6, Archer AX11000 becomes the next-level speed machine that offers astonishing Wi-Fi speeds up to 10756 Mbps with an extended range. More connected devices shall bring more fun rather than dragging the performance. Revolutionary OFDMA is introduced to improve average throughput by 4× and cut the latency. Take advantage of incredibly low latency to demolish your enemies, with your team crew together. one channel at same time. Game Accelerator automatically detects and optimizes gaming streams, to ensure your gaming stays immersive, and keep your network as fast as your reaction speed. Game Statistics shows the real-time latency, game duration and system utilization at a glance in a refreshed dashboard with fine-tuned UI elements, puts total control at your fingertips. Game Protector keeps your accounts and system safe. This enhanced HomeCare™ security system is powered by Trend Micro™, delivering comprehensive antivirus protection that ensures you’re total security while gaming online. Gaming Band—a dedicated gaming band for your game rigs, makes your online games and your families' Netflix 4K streaming no more competitor. DFS expands available channel automatically, get on the more vacant lane and boost the game. Equipped with 1.8 GHz Quad-Core CPU and 1 GB of RAM to handle huge throughput and crush the lag. Link Aggregation and USB 3.0 type C and type A ports ensure virtually any device can connect to your home network. Switch mode depending on your connected gaming rigs. Be informed when a new device is connected. *WPS should be enabled previously *Password for the guest network should be set previously or it will follow the one for the main network. internet standard of the future. * Maximum wireless signal rates are the physical rates derived from IEEE Standard 802.11 specifications. Actual wireless data throughput, wireless coverage, and quantity of connected devices are not guaranteed and will vary as a result of network conditions, client limitations, and environmental factors, including building materials, obstacles, volume and density of traffic, and client location. 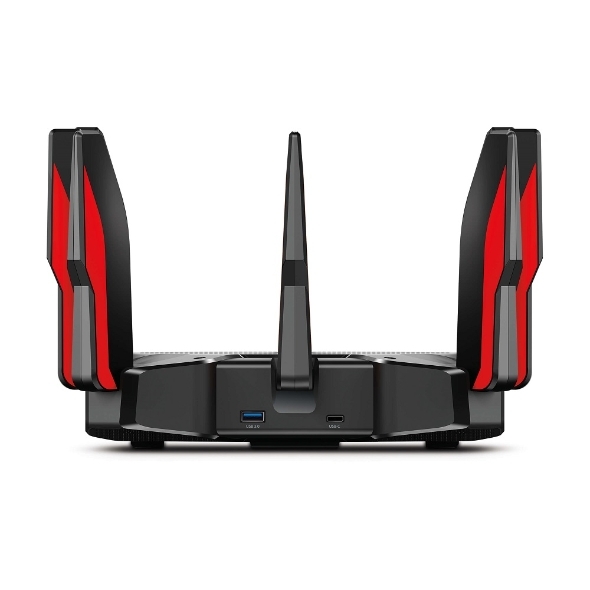 * Use of 802.11ax Wi-Fi standard requires clients to also support the 802.11ax Wi-Fi standard. * Use of MU-MIMO requires clients to also support MU-MIMO. * Capacity refers to overall average throughput. The amendment defines standardized modifications to both the IEEE 802.11 physical layers (PHY) and the IEEE 802.11 Medium Access Control (MAC) layer that enable at least one mode of operation capable of supporting improvement of at least four times the average throughput per station (measured at the MAC data service access point) in a dense deployment scenario. * Full utilization of HT160 requires client device that supports 160 MHz bandwidth. 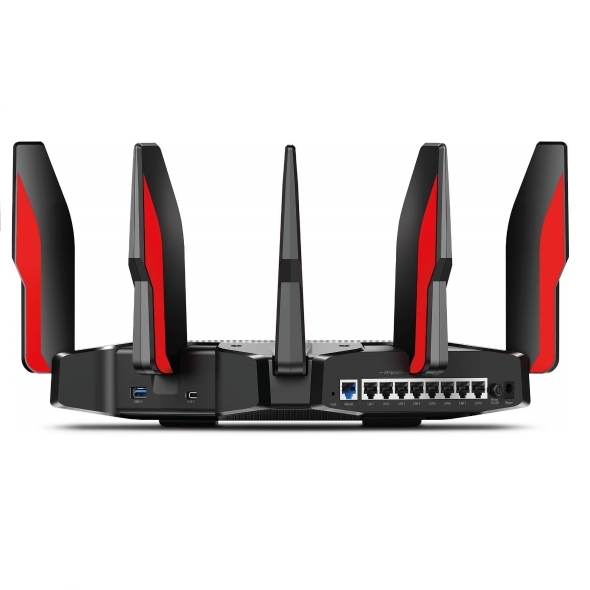 * This router may not support all the mandatory features as ratified in Draft 3.0 of IEEE 802.11AX specification. * 2.5 Gbps internet speed requires compatible service plans from ISPs. * Use of WPA3 requires the later firmware upgrade and compatible devices. * Use of VPN Client requires the later firmware upgrade. 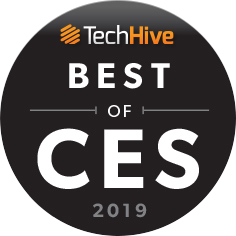 Archer AX11000 received award ‘CES Innovation Award 2019’’ from CES 2019 – one of the largest trade show around globe. The CES Innovation Awards is an annual competition honoring outstanding design and engineering in consumer technology products.